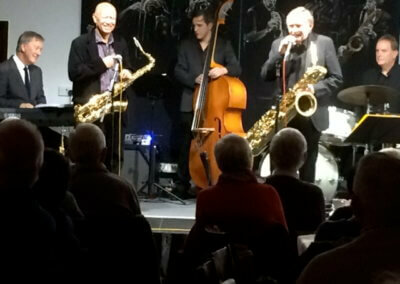 These fabulous musicians gave us an entertaining evening that was different and exciting. 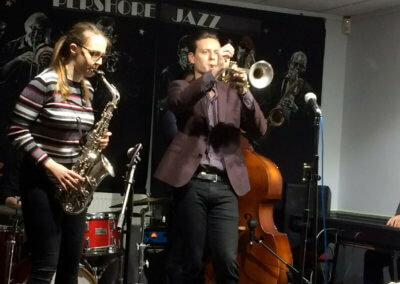 Kim Cypher is on a tour to promote her debut album “Make Believe” launched last November and we were pleased that she accepted Pershore Jazz Club as part of this tour. Kim has performed in New York and entertained the Prime Minister Theresa May so we were in good company for sure! Dressed to impress she and the band played a varied repertoire of mixed styles of music, some from her album and some familiar tunes too. 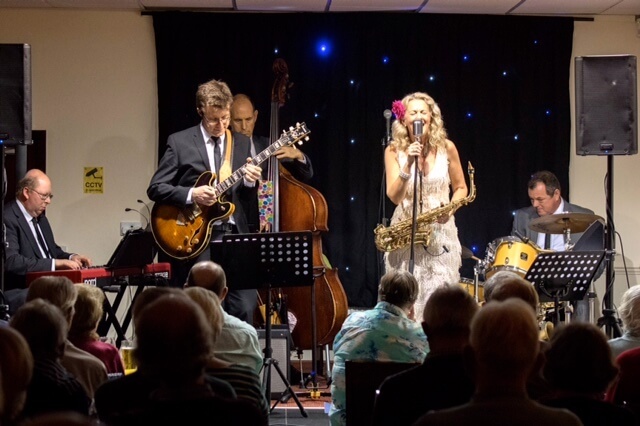 Pershore Jazz Club is renowned for presenting varied styles and genres and this band fitted the bill – you can not fault the quality of the musicianship and presentation and we were pleased to enable Kim to expand the venues that she appears at. 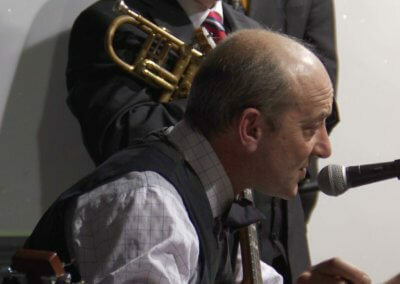 Keep following your dreams Kim – you and your band of handsome men give a quality show and we wish you all the very best of luck for the future and hope to listen to you again soon.